Festival season is here: Whether it’s barbecue, bluegrass, wine, or the weather, there’s always something worth celebrating. This judged quilt show presented by the Western North Carolina Quilters’ Guild will feature more than 100 quilts on display, as well as several vendors. Learn more: (828) 894-9502 or westernncquilters.org. Sample local flavors, watch (or partake in) old-fashioned dunking booths, and shop from arts and crafts vendors at this downtown festival. Learn more: (828) 287-2071 or rutherfordtown.com. Take part in a 5K, 10K, one-mile fun run, or cycling routes. All proceeds will go to Rainbow Kidz to support families dealing with a life-limiting illness or loss of a loved one. Learn more: (704) 873-4719 or rainbowkidzriderun.itsyourrace.com. North Carolina artist Jonathan Brilliant will create a sculpture on site at the Hickory Museum of Art. Walk under, into, and around an enormous installation created out of 50,000 wood coffee stirrers, coffee cup lids, and cardboard sleeves. Learn more: (828) 327-8576 or hickoryart.org. Critically acclaimed guitarist Wayne Henderson and friends will get to pickin’ at Trinity Episcopal Church. Henderson has performed at Carnegie Hall and in three national tours of Master of the Steel-String Guitar. Learn more: (704) 872-6314 or trinityartistseries.org. This special hike takes attendees to the areas of Chimney Rock State Park where the most wildflowers are in bloom — the perfect pre-Mother’s Day activity. Don’t forget to bring a blanket or lawn chair to relax at this festival at The Inn at Glen Alpine. Enjoy tastings from various wineries, music, food, and arts and crafts vendors. Learn more: (828) 584-9264 or facebook.com/turkeytailwinefestival. See antique farm equipment and tractors on display, a truck and tractor pull, and more at this annual fund-raiser for the Foothills Antique Power Association. Learn more: (828) 461-0637 or foothillsantique.com. This festival in North Carolina wine country will feature more than two dozen local wineries, music, crafts, and food. Learn more: (336) 526-1111 or yvwf.com. The Grovewood Gallery’s 25th anniversary will feature an outdoor sculpture exhibition, artist demonstrations, live music by The Bad Penny Pleasuremakers, and more. This 12th annual event will feature a large selection of plants from new and returning vendors, free garden-related workshops, and a fund-raiser for the Black Mountain Beautification Committee. Learn more: (828) 772-5501 or blackmountainbeautification.org. This outdoor arts and crafts show downtown features works for sale by a variety of juried artists. Learn more: (828) 295-7851 or blowingrock.com. This motorcycle ride hosted by the Longview Lions Club will begin in Hickory and end in Sherrills Ford. The ride will help raise funds benefiting Camp Dogwood for the Blind and other charities. This annual festival celebrates the state’s heritage and arts culture. Explore art exhibits; listen to live Americana, blues, and folk music; and watch artist demonstrations. Learn more: (828) 817-2876 or saluda.com. Whether you’re a writer or you just love a good tale, you’re sure to enjoy this workshop led by nationally celebrated storyteller Connie Regan-Blake. Up to 150 juried artists will be selling paintings, sculptures, clay, glass, jewelry, photography, and more at this huge art show. Learn more: (248) 684-2613 or hotworks.org. This fiddlin’ festival has been held annually for nearly 100 years. Musicians and music lovers alike will gather for competitions, workshops, barn dancing, and concerts. Learn more: (785) 282-4753 or fiddlersgrove.com. Learn gardening tips from regional experts, attend workshops led by specialists, and shop for everything from plants to wind chimes to birdhouses to lawn furniture. Don’t forget to bring a wagon to cart your purchases down Main Street. Learn more: (800) 828-4244 or visithendersonvillenc.org. Based on the classic book by Roald Dahl, this family-friendly musical follows enigmatic candymaker Willy Wonka as he stages a contest by hiding golden tickets in five of his candy bars. In this musical, former Miss North Carolina Hailey Best stars as Elle Woods, a sorority girl who enrolls at Harvard Law School to win back her ex-boyfriend. Learn more: (919) 774-4155 or templeshows.com. Grammy Award-winning concert cellist Zuill Bailey will perform Edward Elgar’s Cello Concerto and other works with the Greensboro Symphony. Learn more: (336) 335-5456 or greensborosymphony.org. Put on your dancing shoes for Band of Oz at Blackmon Amphitheatre. One of the most successful beach music groups in the Southeast, this eight-person ensemble recently added a full horn section. Learn more: (336) 786-7998 or surryarts.org. On Thursday nights throughout the summer, North Hills Shopping Center is transformed for a concert series. Enjoy beach music and food and drink vendors. Learn more: (919) 719-5442 or northhillsevents.com. Free up some room on your shelf by bringing in your gently-used books, and then browse hundreds of others at this 30th annual sale. Learn more: (336) 748-0217 or shepherdscenter.org. In honor of Mother’s Day, enjoy a night of stories about motherhood. Fifteen writers will read selections of their own work, and a portion of the proceeds will benefit the Women’s Center of Wake County. Learn more: (919) 368-7387 or listentoyourmothershow.com. More than 70 teams from around the country will compete in the Kansas City Barbeque Society competition at this two-day festival, which also features more than 100 artisan vendors, a 5K, concerts, and “people’s choice” tasting contests. Learn more: (704) 920-4300 or kannapolisnc.gov. Camp under the stars at one of the best dark-sky sites in the Piedmont. Telescopes will be available to observe Mars, Jupiter, and the moon. Stay up late to count shooting stars in the Eta Aquarids Meteor Shower. Bring a chair or snag a hay bale to lounge on while performers dance, sing, and play folk songs and bluegrass music. Barbecue meals and beer will also be available for purchase. Learn more: (704) 889-7145 or jameskpolk.net. This 33rd annual event stays true to its name — it will be packed with ham biscuits, barbecue, sweet potatoes, and more, as well as kids’ activities, live music, a cook-off, and piglet racing. Learn more: (919) 643-0887 or hamandyam.com. This annual festival combines food and live music with vendors selling garden decor, plants, crafts, outdoor furniture, antiques, and more. Learn more: (336) 472-4422 or tvillenc.com. This 36th annual event in historic downtown will feature vendors selling handcrafted arts and crafts, as well as food, live entertainment, kids’ activities, and a beer garden. Learn more: (919) 229-4907 or wakeforestnc.gov. Take part in a 5K race, a one-mile fun run, and a survivor celebration to benefit the Susan G. Komen North Carolina Triangle to the Coast Foundation for breast cancer. Learn more: (919) 493-2873 or komennctc.org. This mountain dulcimer festival will feature workshop classes with talented instructors Jeff Furman, Jim Miller, Anne Lough, Carol Crocker, and Judy House, followed by a concert. Learn more: (336) 775-7826 or winstonsalemdulcimerfestival.com. Wander the Alvarino Norwood family’s three acres of flower and vegetable gardens, or take part in a guided tour to learn more about the plants. Enjoy a talented lineup of bluegrass artists, meet the bands, and jam with fellow bluegrass lovers at this 37th annual festival. Food and camping will also be available. Learn more: (336) 859-2755 or dentonfarmpark.com. Go to a Sandhills pig pickin’, tour a truffle farm, attend cooking workshops, and enjoy a demonstration and chef’s dinner at this weekend-long event, which features Chef Clark Barlowe of Heirloom Restaurant in Charlotte. Saint Mary’s School has stood the test of time as Raleigh’s oldest continuously operating school. Since opening in 1842, it has remained true to its original mission of educating young women. To celebrate 175 years, the school will hold an evening gala on its historic campus with music, food, drinks, and more. Tickets must be purchased ahead of time. Learn more: (919) 424-4034 or sms.edu. Known for their “Appalachia-cana” sound, Asheville band Tellico creates memorable music with their authentic lyrics, strong voices, and mastery of instruments, which include guitar, fiddle, bass, Dobro, pedal steel guitar, mandolin, and clawhammer banjo. Learn more: (704) 563-7080 or folksociety.org. The Wake Forest Garden Club hosts this tour of 10 local gardens featuring garden-themed artists. High tea will be served at the Wake Forest Museum. Learn more: (919) 210-3487 or wfgardenclub.org. This quilt extravaganza at William Peace University will feature quilt classes, a quilt show with more than 200 quilts on display, and a vendor mall. In the last concert of their 25th season, the Cumberland Oratorio Singers combine their voices with brass, percussion, and organ, and perform a mix of material from 20th-century composers including works by Ritter, Vaughn Williams, and Wilberg. Learn more: (910) 630-7153 or singwithcos.org. Hundreds of antique motorcycles will be on display at Denton FarmPark. Enjoy a parade, games, food, and more. Learn more: (336) 859-2755 or amcasouthernnationalmeet.com. This annual festival showcases homegrown culinary creations, cattle and farm animals, lumberjack competitions, auto and truck shows, and barbecue. The Neuse Little Theatre presents the classic drama by Tennessee Williams. Set in a plantation house in the Mississippi Delta, it explores the relationships in a cotton tycoon’s family, and examines themes like greed and desperation. Learn more: (919) 934-1873 or neuselittletheatre.org. Children and adults will be wowed by this veteran group’s fantastical world that is created with giant puppets, stilt dancers, shadow puppets, and music. Bring your family — human and canine — to this dog festival, which features competitions and events in dock jumping, Frisbee, agility runs, and dachshund races. Invented in Salisbury in 1917 after a sugar shortage during World War I led L.D. 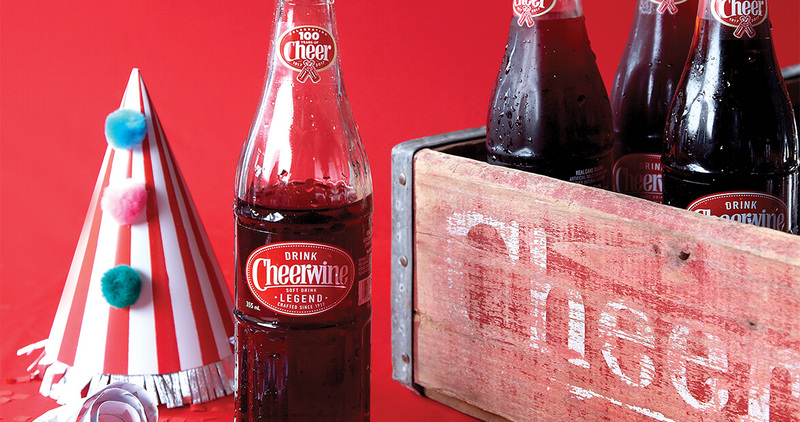 Peeler to experiment with cherry soda flavoring, Cheerwine has been a Tar Heel treasure ever since — even as its popularity has spread across the country. It’s now available in 47 states, but to this day, Cheerwine remains a family-owned business, run by L.D.’s great-grandson and headquartered in its hometown. In celebration of 100 years, the company is hosting a free festival downtown on May 20, with live bands, a barbecue cook-off, and, of course, plenty of the beloved ruby-colored soda that tastes like home. This bluegrass group features 12-year-old Carson Peters, who picked up his first fiddle at the ripe old age of 3, and who made his debut at the Grand Ole Opry in 2014. Browse local art, see new art exhibits, and listen to live music at various galleries during this monthly event, which takes place along the streets of downtown. In honor of our nation’s fallen military, a ceremony will be held at Veterans Freedom Park. More than 65 vendors gather on the Cape Fear riverfront to sell fresh produce; baked goods; and handcrafted decor, gifts, and jewelry. Live music will entertain shoppers. Enjoy delicious barbecue, shopping, a wine garden, and more at this 36th annual festival. A “Southern sides” competition will be judged by Vivian Howard, head chef of acclaimed Kinston restaurant Chef & the Farmer. Learn more: (252) 560-2693 or kinstonbbq.com. Paddle nearly eight miles in a canoe or kayak along the historic Dismal Swamp Canal, from the canal bridge in South Mills to the Ballahack Road boat ramp in Chesapeake, Virginia. Learn more: (252) 771-8333 or dismalswampwelcomecenter.com. Satisfy your palate at a variety of tasting events: This festival brings together local chefs and notable wines, beers, and spirits from around the world. Learn more: (910) 385-9463 or wilmingtonwineandfood.com. This symposium begins Friday with an art exhibit and book signing at Tarboro Brewing Company. On Saturday, enjoy lectures, vendors, garden tours, a luncheon, and afternoon tea. Enjoy coffee and doughnuts at the Historic Bellamy Mill, then push off in a canoe or kayak for a five-and-a-half-mile paddle down Fishing Creek. Preregistration includes a T-shirt and lunch downtown. Learn more: (252) 445-2234 or derpserves.org. Rev your engines: This annual car show features music, food, and more than 100 classic British sports cars. Tour nine rose gardens around the city at your leisure; homeowners and gardeners will be on site to answer questions. Learn more: (910) 297-5538 or wcfrs.blogspot.com. There will be quilts on display, a silent auction, awards, special exhibits, and more at this quilt show at the Crystal Coast Civic Center. Learn more: (252) 808-7632 or crystalcoastquiltersguild.org. Bands like Big Sam’s Funky Nation and Muddy Magnolias will perform in historic downtown at this music festival, held for nearly 30 years. Learn more: (252) 732-0703 or beaufortmusicfestival.com. This celebration of the spud will feature amusement rides, boat rides, live music, a potato peeling contest, fireworks, and plenty of food to fulfill starchy cravings. Learn more: (252) 338-4104 or ncpotatofestival.com. The Carolina Civic Center Historic Theater, which first opened in 1928, is the perfect setting for this swing band, which formed in 1938. The plants sold at this event are pulled directly from the gardens of the Master Gardeners of Pitt County. Learn more: (252) 902-1709 or pittcountyarboretum.blogspot.com. Highlighting the plants that attract pollinators, the theme of this annual festival is “Plant and They Will Come.” Browse more than 50 vendors selling plants, garden art, and refreshments. Hear the roar of engines from a bygone era and admire the mirror finishes on the vintage vessels at this boat show at the Galley Store Marina. You might even be invited for a ride. Learn more: (252) 514-8525 or vintageboat.org. Get in touch with your inner yogi: This festival features international yoga teachers, workshops, a vendor market, paddleboarding, and food. From sunrise yoga on the beach to a lantern release at sunset, it’s sure to help you rest and recharge. Learn more: (910) 508-6923 or rootsofloveyogafestival.com. This charismatic’ four-man group will harmonize and dance their way through classic songs from the ’50s, ’60s, and ’70s, including favorites from Frankie Valli and The Four Seasons, the Beach Boys, and more. The country’s longest-running symphonic outdoor drama is celebrating its 80th anniversary. More than 100 dancers, actors, and singers bring to life the mysterious 16th-century disappearance of the first English settlers in the New World. Learn more: (252) 473-2127 or thelostcolony.org. More than 20 local artists and crafters will sell their work at this art show, which will also feature live music. Browse fine art, woodworks, seaglass jewelry, handmade soap, and more.